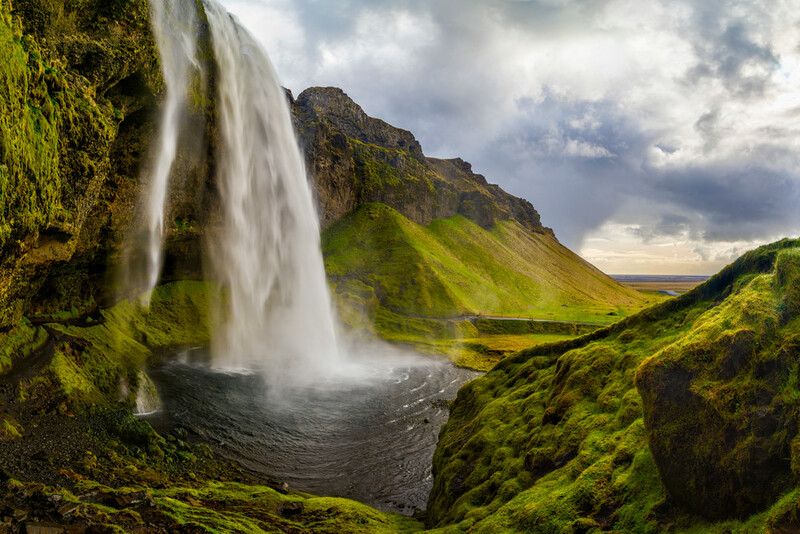 Capturing this image at Seljalandsfoss waterfall in Iceland required a lot of patience. Mist and rain were constantly being blown in my face and on my camera gear, so I had to wait for the right moment when the wind was calm and the light had a magical quality. In this case that meant several hours of being pounded by wind and rain.